The BenQ Zowie XL2546 has been built from the ground-up for esports gamers and it shows in every inch of its design and features with its innovative DyAc tech and fast 240Hz refresh rate. In that regard, it delivers as a high-performing gaming display ideal for fast-paced games. If cash is no object, this is a sound acquisition for the discerning esports FPS gamer. 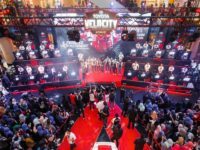 Professional gamers are a rather interesting lot with a rather unique series of requirements in their hardware, depending on the particular genre of gaming they specialise in. 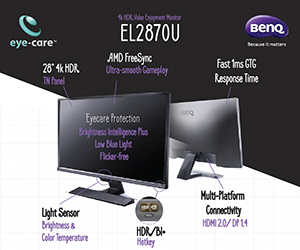 BenQ’s top-shelf Zowie XL2546 is a 24.5-inch Full HD gaming monitor that has been designed from the ground up to cater to this unique and demanding clientele as every aspect of its design has been engineered both from within and without for maximum performance and effectiveness for an esports gamer. The BenQ Zowie XL2546 comes in a nondescript box with the contents sturdily packed in form-fitted styrofoam cutouts to ensure it remains intact during shipment. 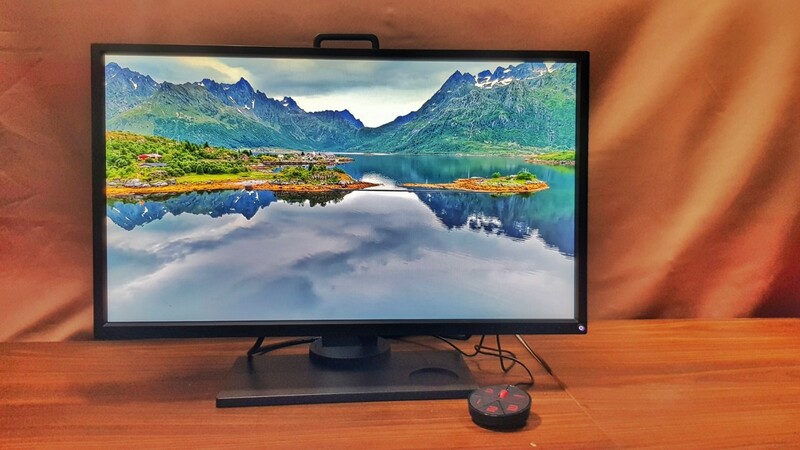 Unboxing and assembling the monitor proved to be a relatively elementary process and the procedure proved to be an educational one as it allowed us to admire the thought and engineering that has gone into designing the monitor. 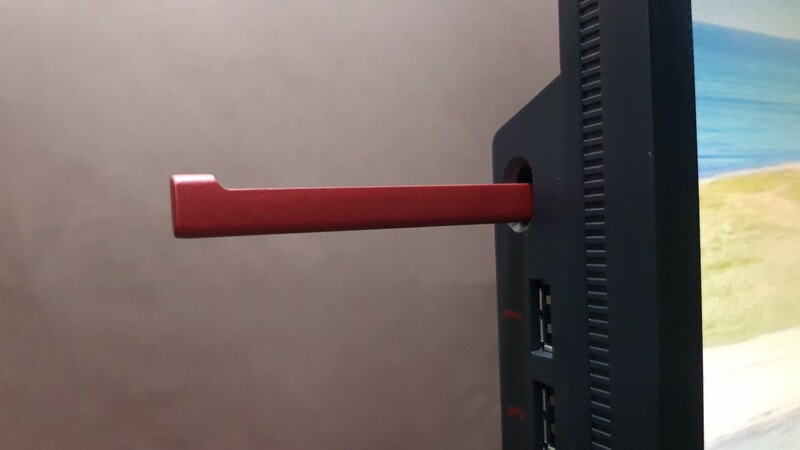 The weighted base screws into the vertical stand that holds up the monitor which in turn has a slot-in bracket that allows the monitor proper to slide-in and lock with a reassuring click. 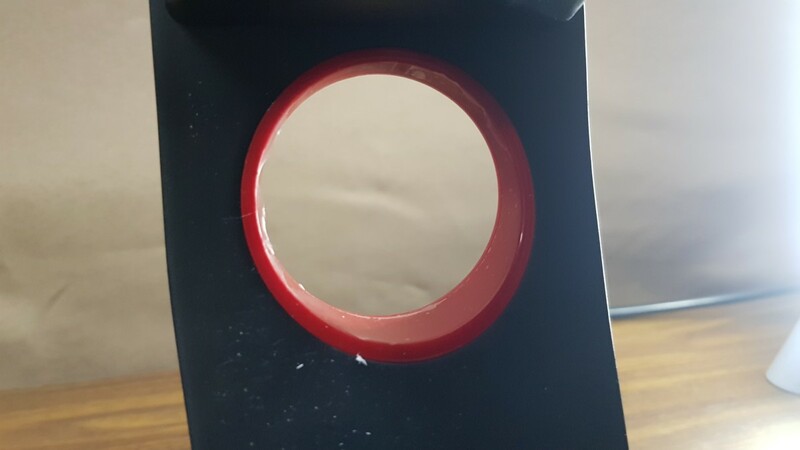 Externally, the monitor is done up in a matte black plastic with red trim in strategically placed spots all around to accent the clean, minimalist design. The XL2546 is all business and it shows by eschewing fripperies like glowing LED lights, loud paint schemes, massive logos and other bling save for the Zowie logo emblazoned on the back of the monitor. 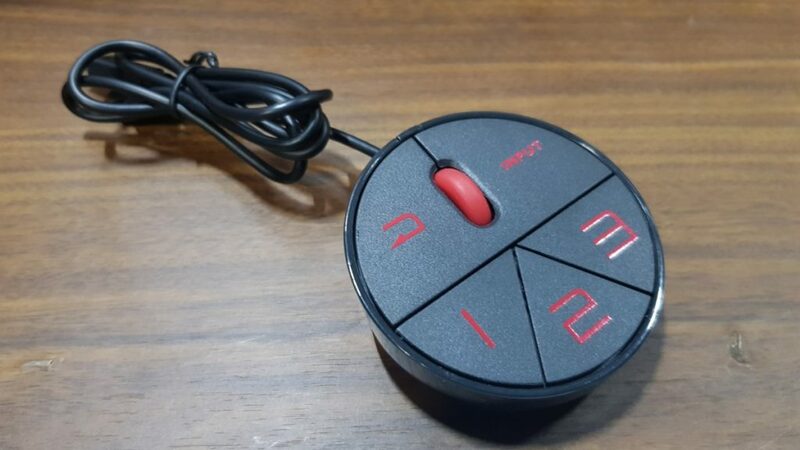 The base itself is a very sturdy affair with a rounded groove for the innovative S-Switch Arc shortcut control that consists of a mouse wheel and a series of buttons that allow you to navigate the hardwired On Screen Display (OSD( menu of the monitor to tweak the settings and to also activate three preset profiles on demand. This added touch is a godsend and a timesaver indeed as it allows you to get to the business of scoring kills rather than having to laboriously pore through a series of menus with the built-in monitor buttons like a retro game of Mastermind. Midway through the strut holding up the display panel is a strategically cut-out hole for efficient cable management. Other gamer-centric conveniences include a slide out hook on the left of the monitor to conveniently hang a pair of headphones. 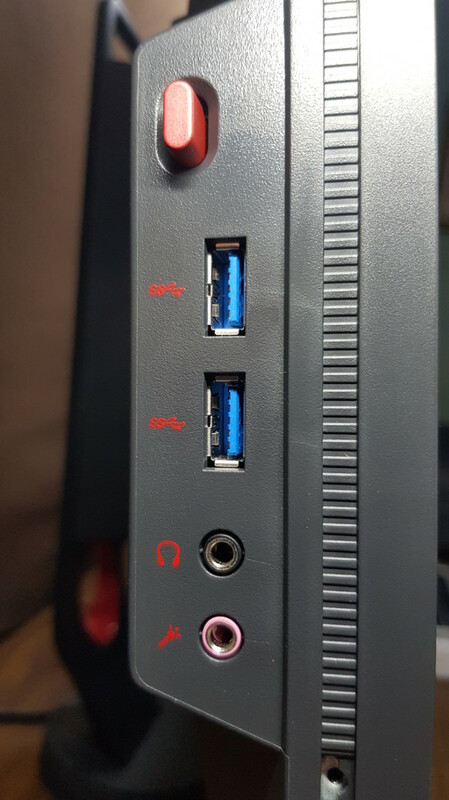 The left side of the monitor hosts a pair of USB 3.0 ports as well as a mike and headphone jack within easy reach. Of note is the sturdy articulation of the monitor stand that lets you move it up and down as well as swivelling it left or right to some degree for comfort. You’re even able to rotate the monitor into a straight up vertical position if you deign to do so. 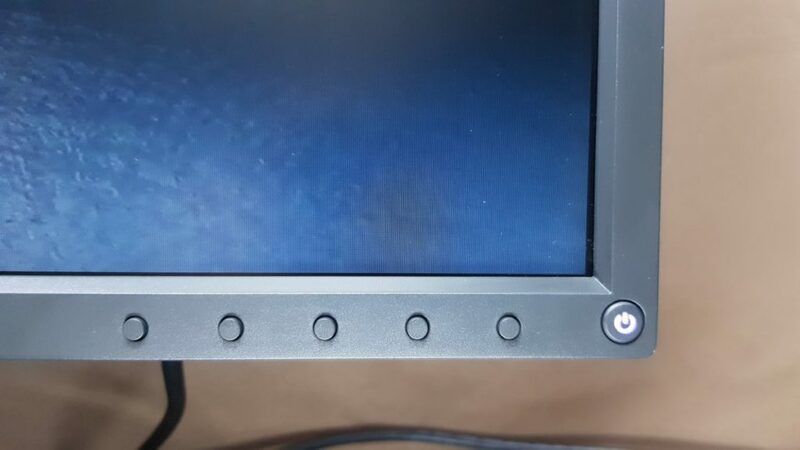 The stand itself also has a series of indicator marks to show its height, tilt and pivot settings to make the monitor easier to deploy in your favourite angle when on the move. Another interesting addition for pro-gamers is the inclusion of a carrying handle up top; handy if you’re hauling it from match to match as well as a soft-carrying case to protect the display. 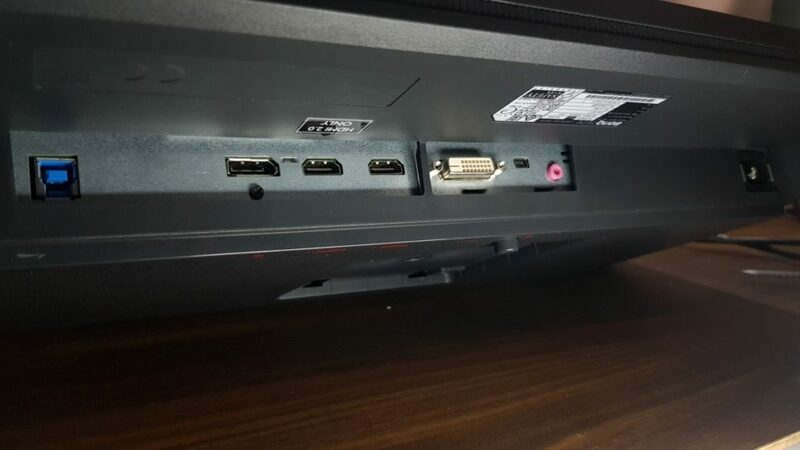 The underside of the monitor comes with a Display Port 1.2, a pair of HDMI slots with one of them being a HDMI 2.0 port and a DVI-DL port which makes for a rather comprehensive selection of ports for most scenarios. The monitor itself is fairly plain with rather wide bezels and a series of controls in the lower right corner to navigate the menus in lieu of the S-Switch controls. The aforementioned bezels aren’t there just for show; they’ve been specially designed to reduce light reflections from the display, another subtle but welcome bonus for esports gamers. Users also have the option of installing screw-on side shield panels, ostensibly so that users can maintain focus while gaming. As you’d likely surmise from the Zowie brandname, the XL2546 is built from the get-go as a gaming monitor and prioritises gaming performance over other concerns. The XL2546 is a 24.5-inch Full HD resolution TN panel which has an impressive 240Hz refresh rate, a 1ms response time and includes Zowie’s unique Dynamic Accuracy (DyAc) tech which deals with blurring onscreen in a decisive fashion. Getting it hooked up and running was a simple task and exploring the monitor’s comprehensive menu reveals a wealth of features that make it superb for esports gamers along with several that will offer a decisive edge in your next firefight or melee scrum. 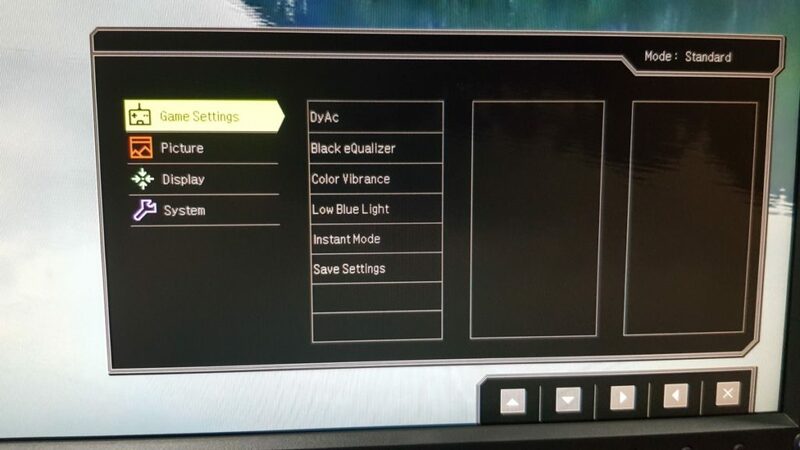 You’re able to tweak the brightness, contrast, sharpness, gamma correction and colour temperature and set picture modes depending on what content you’re enjoying including specific settings for FPS games, RTS games and movies for your delectation. Of note is a Low Blue Light mode that makes it slightly easier on the eyes by squelching the blue light spectrum; useful if you’re reading a ton of stuff. It also has a Black eQualizer mode that enhances dimmer areas in a game without making the better lit spots overexposed which makes it much handier for dealing with ambushers and other sundry undesirables who enjoy lurking in darker spaces on a game map. 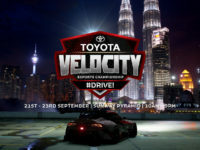 Colours are fair out of the box unless tweaked in the settings and viewing angles barring straight ahead for the player are middling at best but all these are secondary to its emphasis as a superior gaming monitor with staggeringly good refresh rates at 240Hz and their vaunted DyAc tech. Minus the techspeak, Zowie’s proprietary DyAc mode essentially squelches blur onscreen for improved ingame performance. The average gamer likely won’t experience life-changing benefits but for those who make it their bread and butter, DyAc makes for a literal game changer. With DyaC fired up, games, especially first person shooters where reflexes and in-game positioning are paramount to survival, were markedly better to play. In-coming ordnance, barring hitscan weapons of course, were easier to visually track and, most important of all, recoil from firing heavier hardware seemed to be minimised which makes it handy to ensure that most of your lead going downrange hits the intended target such as Counterstrike:Go. The Black eQualizer mode works as advertised on the tin with about twenty selectable levels of correction available on hand. Performance, especially with the XL2546’s 240fps feels smooth as silk as well. If you’ve been working with an older 60Hz display and going up to the XL2546, the difference is almost night and day. In watching movies, the monitor proved a fair, if unremarkable contender on account of its middling viewing angles and modest colour accuracy but that’s not its primary forte. It’s an otherwise fair hand for general viewing. The S Switch initially seems like a bizarre and unnecessary add-on to the monitor but after using its advantages become apparent after using it for awhile and it makes navigating the monitor menus a cinch rather than a chore. It’s so useful that it ought to be included as a standard option in all monitors in the future. 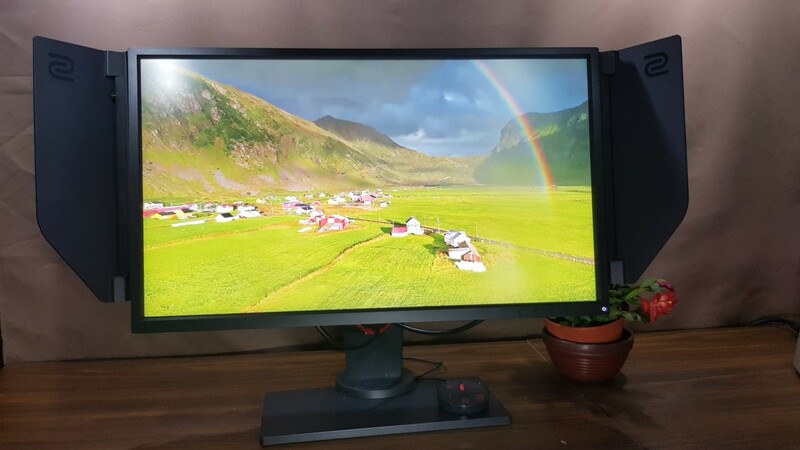 The BenQ Zowie XL2546 gaming monitor isn’t exactly something designed for general purpose use. 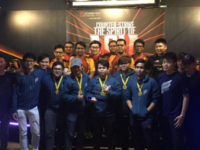 Like a throughbred race horse or a destrier, it’s bred, or rather in this case designed to excel in one particular endeavour – esports gaming and in particular fast-paced games like first person shooters, RTS games and the like. It eschews aesthetics with a keen eye on ‘form follows function’ in every aspect of its design from its solidly engineered stand that lets you tilt, swivel and adjust the height at will to its novel S Switch remote and it’s novel slide-out headphone hanger, the XL2546 is a through and through gamer’s delight. 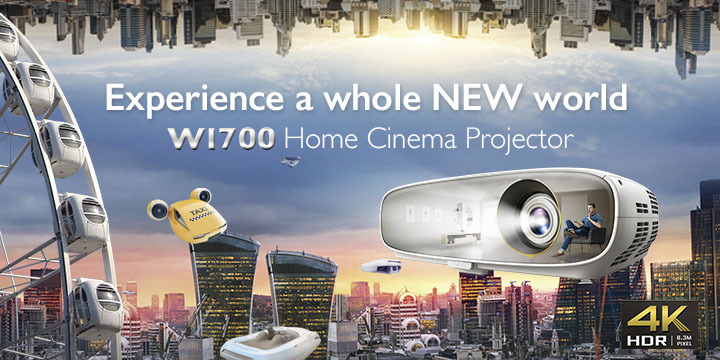 Fortunately, it has the performance to back up its design. BenQ Zowie’s DyAc mode made for an impressive means to up your game and their Black eQualizer tech made for an advantage in games with lots of shadowed and dark areas. Naturally, this is also contingent on your rig having enough pixel crunching power and decent ping to rack up kills. If cash is no object and you’re a serious gamer, you’ll appreciate the charms that the BenQ Zowie XL2546 offers. 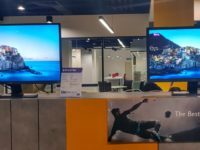 Users with more generalised needs can opt for the more compact and more affordable BenQ EW277HDR that’s half the price and has support for HDR content. The BenQ Zowie XL2546 can be acquired online at BenQ’s official store on Lazada in the link here. We say The BenQ Zowie XL2546 has been built from the ground-up for esports gamers and it shows in every inch of its design and features with its innovative DyAc tech and fast 240Hz refresh rate. In that regard, it delivers as a high-performing gaming display ideal for fast-paced games. If cash is no object, this is a sound acquisition for the discerning esports FPS gamer.